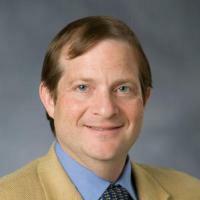 Seth Sanders is a professor of economics and public policy and interim director of Duke's Center for Child and Family Policy. He teaches graduate courses in labor urban economics, econometrics, microeconomics, and program evaluation; and he teaches undergraduate courses in economic history, research methods, and microeconomics. Sanders' research focuses on population studies in terms of economics and econometrics. His projects have explored the consequences of teen childbearing, the performance of gay/lesbian families in the economy, the effects of economic shocks on workers and their families, and gender and racial trends among the highly educated population. Sanders has published his research findings and ideas in a number of academic journals, especially those concerning economics, statistics, and sociology. His work has appeared in the Journal of Human Resources, the Journal of Marriage and the Family, the Economic Inquiry, and many others. Prior to coming to Duke, Sanders was a professor of economics at the University of Maryland, where he held the position of director for the Maryland Population Research Center. He studied economics at the University of Chicago, where he earned his Ph.D. in 1993, his M.A. in 1985, and his A.B. in 1984. Black, DA; Hsu, Y-C; Sanders, SG; Schofield, LS; Taylor, LJ (2017) The Methuselah Effect: The Pernicious Impact of Unreported Deaths on Old-Age Mortality Estimates. Black, DA; Hsu, Y-C; Sanders, SG; Taylor, LJ (2017) Combining forward and backward mortality estimation. Black, DA; Sanders, SG; Taylor, EJ; Taylor, LJ (2015) The Impact of the Great Migration on Mortality of African Americans: Evidence from the Deep South.